Hey there fellow beauty junkies! 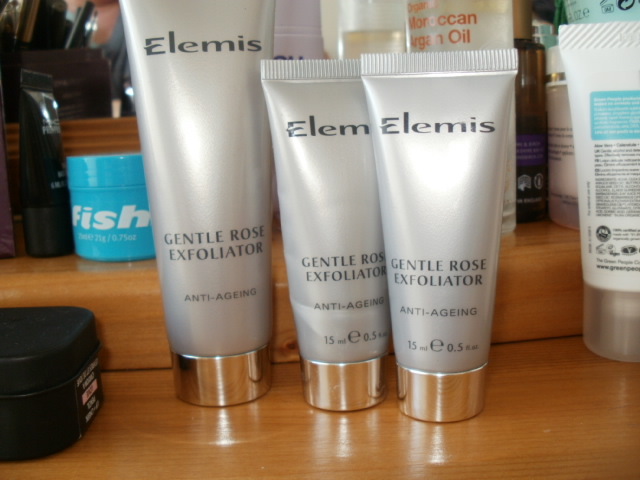 Want to tell you a bit about my Elemis Gentle Rose Exfoliator and why i love it…. My skin is very easily irritated and i find some exfoliators too harsh for my skin and they leave me red and blotchy, particularly on my forehead and cheeks, plus i have some broken capillaries/thread veins that do not like to be overworked and scrubbed too much.. I seem to get on much better with a gentle exfoliation almost every day than a strong one a couple of times a week. 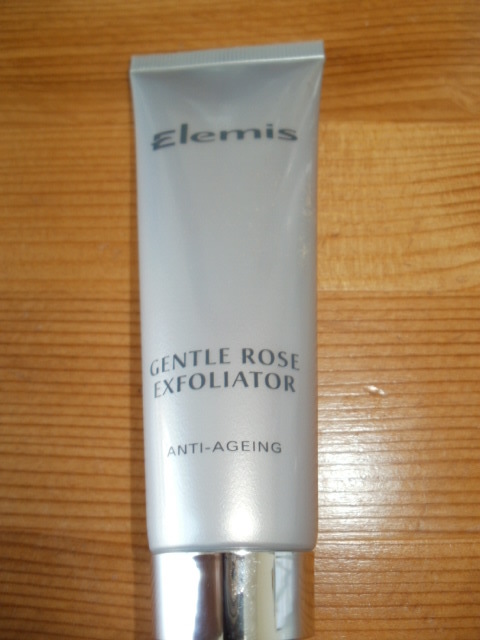 This rose exfoliator has Absolute of Moroccan Rose, very rare and very expensive! Rose oil on your skin is extremely soothing, it takes down redness and calms the skin and this exfoliator hydrated as it goes leaving my skin lovely, smooth and soft, not irritated. What the rose exfoliator is also fabulous for is for exfoliating gently around the eye area, there is very few products gentle enough to do this and this one does it brilliantly, i do get old dry skin in that area and its fantastic to run this gently over the whole area and get rid of all the old dead skin that gathers up and causes wrinkles!! This product is an all round win for me, i genuinely do love it for the reasons stated, please do not exfoliate around your eye area with anything harsh as it could do long term damage, make sure it is gentle and hydrating as this one is and your skin will be left silky smooth. If you have any of the skin issues i have then this product really is a godsend as its so gentle but effective in the long term….. 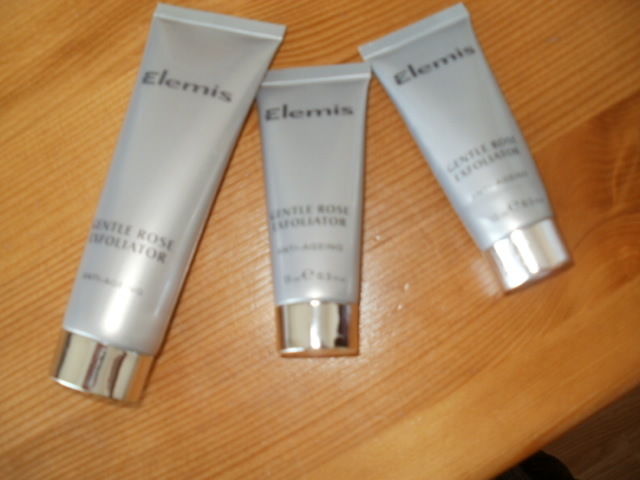 This entry was posted in Health and Beauty and tagged Absolute of Moroccan Rose, Elemis, Gentle and Hydrating, Gentle but effective, Gentle Rose Exfoliator, Premium Skincare, S, Sensitive skin, Silky Soft Skin, TimeToSpa on October 21, 2014 by the40somethingbeautyblogger. This sounds great! I haven’t used many Elemis products before.